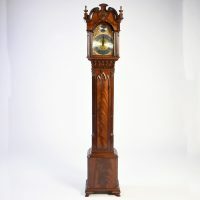 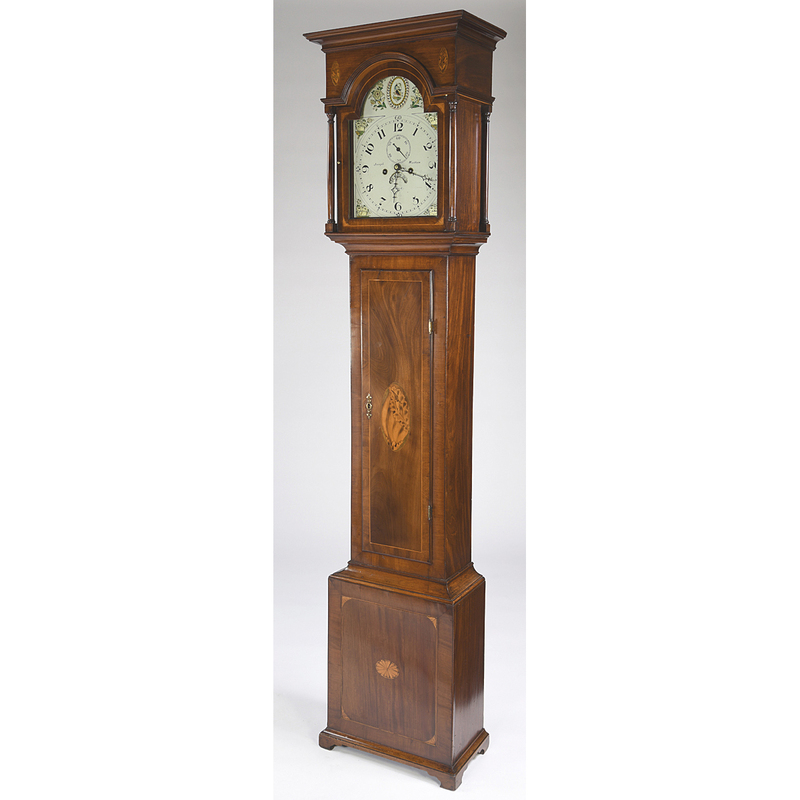 Antique English George III tall case clock in the Sheraton style. 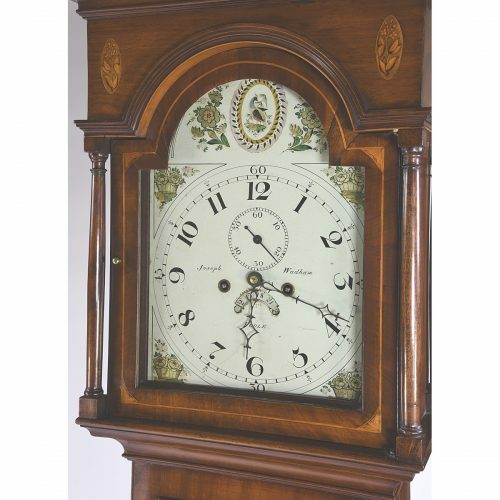 It has an arched brass dial and 8-day movement. 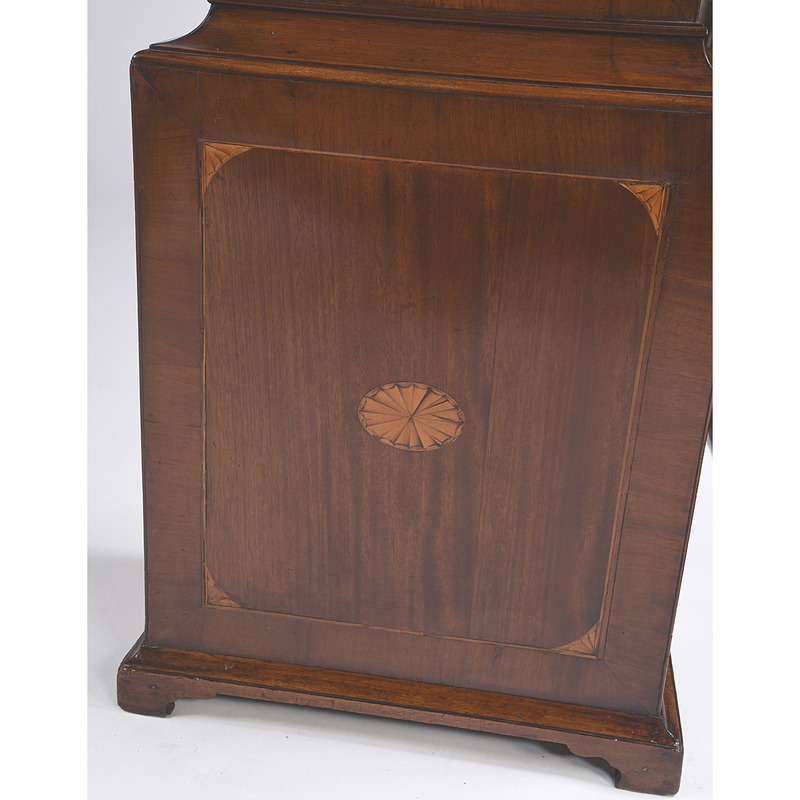 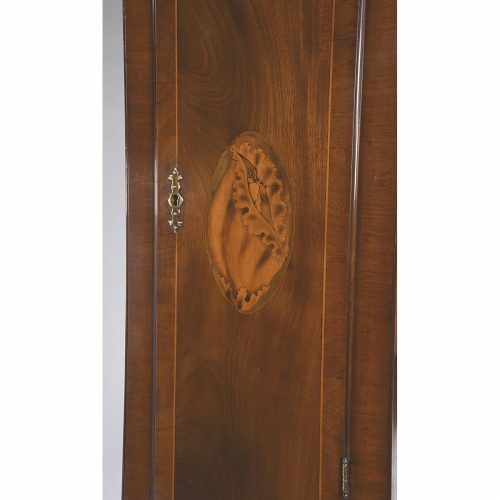 The highly figure mahogany case is decorated with stringing and inlays of fans and shells. Signed John Day, Wakefield, England. 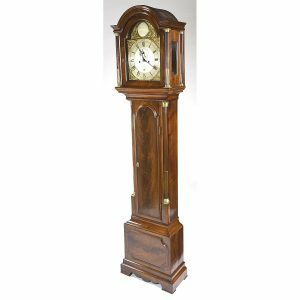 Circa 1800 21″ wide, 10.5″ deep, 88.5″ high.